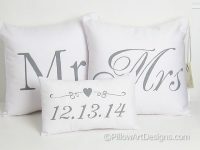 A set of made to order husband and wife wedding or anniversary decorative cushions. 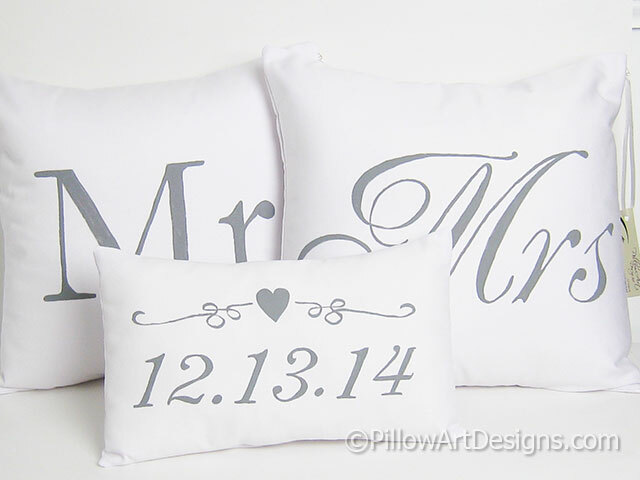 The set includes Mr and Mrs pillow covers along with a small mini pillow with the special date hand painted on the front under scrolling with a heart in the centre. The mini pillow comes stuffed with hi loft polyester fiberfill, no need for an insert. 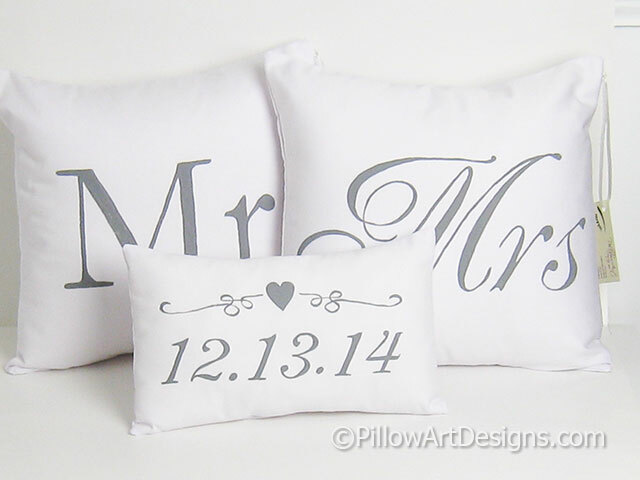 The Mr and Mrs Covers are made to fit 16" pillow inserts (not included). Due to the high cost of shipping with inserts included, I offer the covers without them. I can include inserts with your covers at your request. The cost is an additional $12.00 per insert, plus shipping to your location. Please let me know if you wish to include the inserts when you place your order, and where you are located so I can give you a shipping cost. Outer fabric is white cotton twill. All pillow covers are fully lined with white cotton polyester, giving them a nice fit and finish. 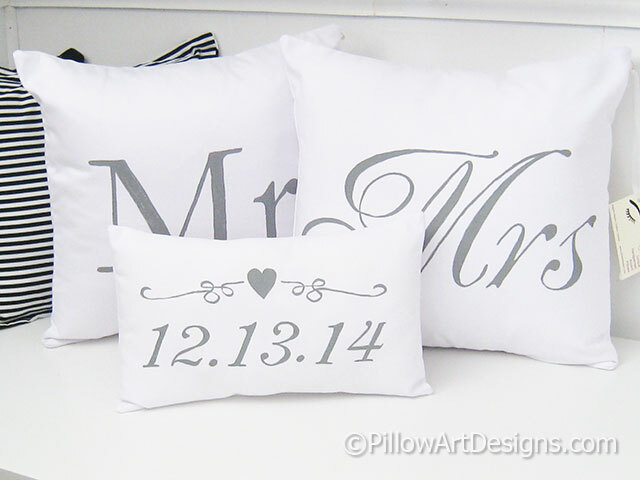 The pillows shown in the example photos are painted in stone grey. Other paint colours are available, please contact me with your details or if you have any questions about your order. I use quality non toxic fabric paint, will not wash off, flake or rub off. Please allow 1 week for me to complete your order before shipping. These pillows are hand painted and sewn by me, in my home studio in Canada. To order, simply add to cart and proceed through checkout process. Don't forget to send me a note with the date you'd like on the mini pillow and confirm the paint colour you'd like me to use.